When you walk into what remains of Françoise Inocent’s ravaged cement home—remnants of a stairway at the front, steel rods and slabs of walls still standing, and mounds of rubble, all exposed to the open skies—it’s hard not to lose morale. Hurricane Matthew wrecked thousands of homes like this, robbing countless Haitians of their shelter and belongings. As Françoise walked me through what was once her kitchen, my attention was diverted by the sound of clucking birds. Two chickens huddled in the corner of a small, makeshift cage made with mesh wire and wood. After the hurricane, Françoise built this temporary shelter for the animals. Françoise lives in Jérémie—a coastal city referred to as the “city of poets” because of the many writers who have hailed from there over the years. 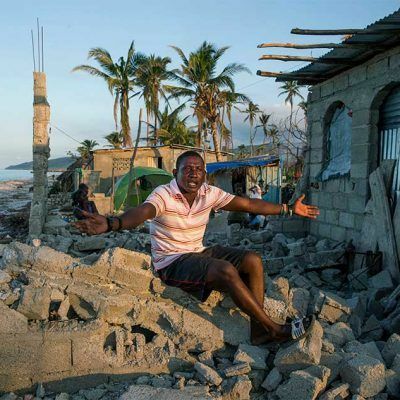 Jérémie and other parts of Grand’Anse department on the tip of Haiti’s southern peninsula bore the brunt of the storm. By some estimates in the media, 80 percent of the city was destroyed. The day before the hurricane made landfall, 48-year-old Françoise listened to radio broadcasts warning of rainfall, but no heavy winds. But as she and her six children went to bed that night, the wind howled with intensity and beat against their home. The heavy rain soaked all her belongings, and the winds blew away the barrels full of cosmetics and cloth material she sold to earn a living. When a palm tree fell on what was left of her home, Françoise and her children braved the forceful winds in search of shelter elsewhere. Françoise described an apocalyptic scene in the immediate aftermath of the hurricane. She recalled seeing people wounded and others dead, flattened homes and countless trees fallen on the ground. The narrow streets of Jérémie were covered in debris and stagnant pools of muddy and contaminated water, which eventually gave way to the spread of life-threatening illnesses like cholera, which was originally brought to Haiti by United Nations peacekeepers in 2010. 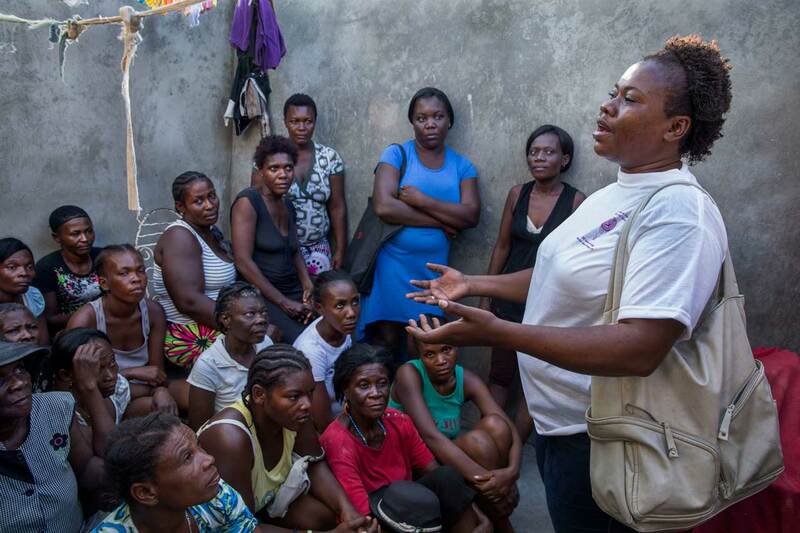 For more than 30 years, Françoise has been a member of Solidarite Fanm Aysisyèn (SOFA), a women’s empowerment group in southern Haiti that receives support for its work from AJWS. As the SOFA delegate overseeing Grand’Anse, she has helped empower hundreds of women by educating them about their rights and by raising awareness in communities about healthcare, family planning and violence against women. For Françoise, rolling up her sleeves to assist with relief efforts came as second nature. “Quickly, we started to talk to other women and we each went to different shelters, to different organizations to see what [kind of help] we could get for those affected,” she said. In the days that followed, Françoise convinced a local hospital to provide free medical services and medications to the sick and wounded through a mobile clinic. She also distributed 120 hygiene kits to women in the community so they could avoid illness like cholera. In the wake of Matthew, SOFA aided communities in dire need. 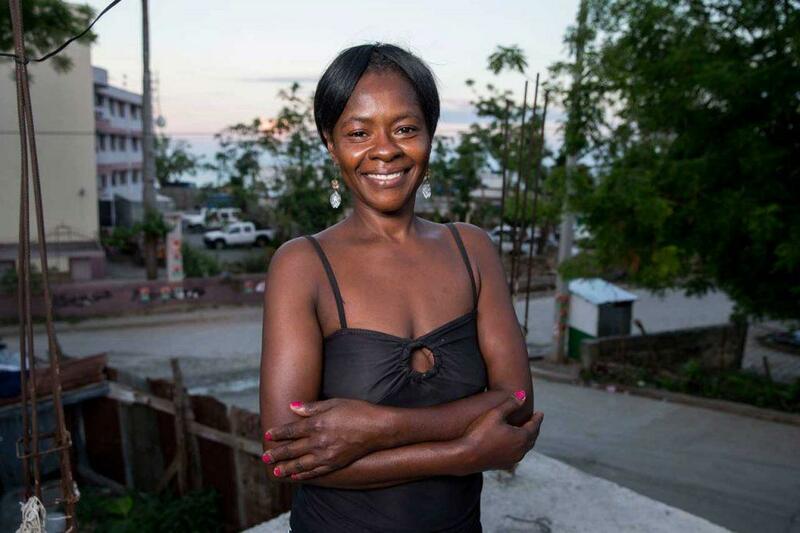 Its staff and volunteers like Françoise purchased construction materials to rebuild ravaged homes and helped women restart businesses damaged by the storm. SOFA is also hard at work preparing the community to weather future disasters. 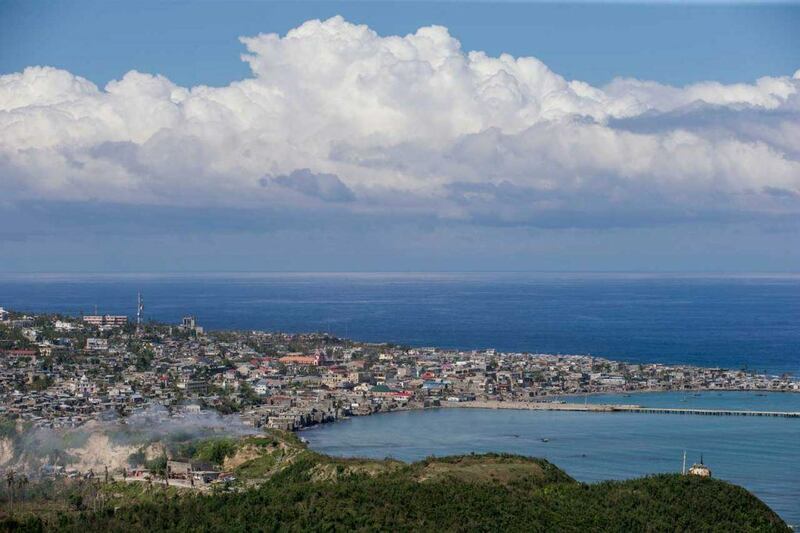 It is advocating for authorities to designate Grand’Anse—a region frequently impacted by hurricanes—as a “protected zone,” which would help ensure the communities here receive economic investment to adapt in the face of challenges posed by climate change. Community after community we visited spoke highly of SOFA and their work. “They don’t let go of you. They stay with you. 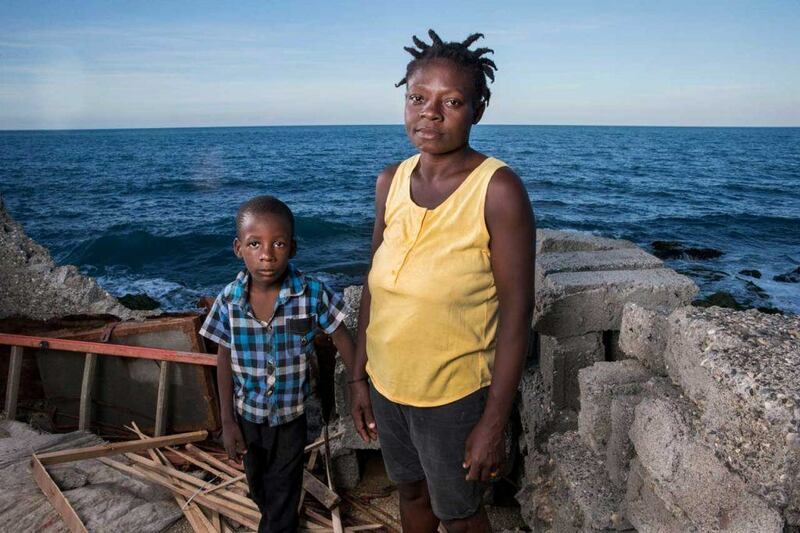 … If they say they will do something for you, they deliver,” said Gertie Mathurin, whose coastal home was reduced to rubble by the hurricane. SOFA has provided women like Gertie with advice on family planning, child-rearing and healthcare. When we went to visit Françoise, she had just returned to her damaged home earlier that week after spending two months at a school that served as a shelter for people in the community. She still had no tarp that could offer her and her children temporary cover from the elements. I asked what inspired her to help those around her even though she had lost so much herself. “Because it’s not only me. I am not the only one. There are people the same as me. There are those that are worse off than me,” she responded. 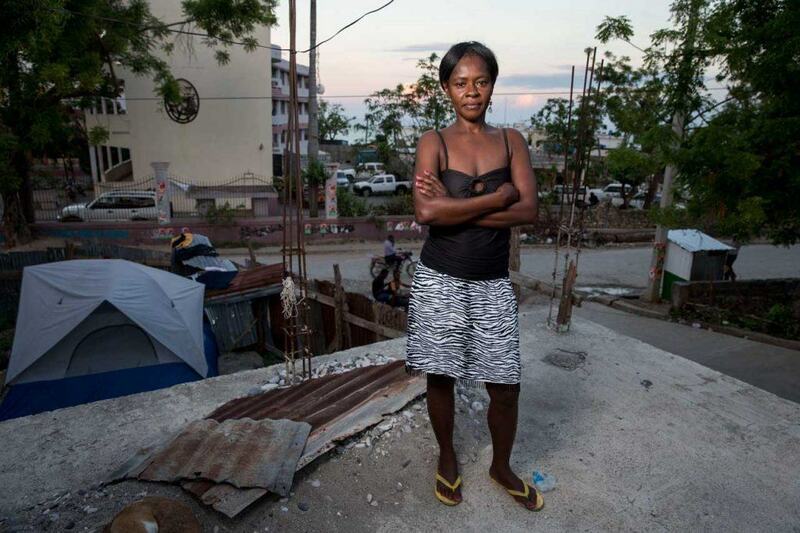 Although it will take months, perhaps even years, for communities in Haiti to fully recover, thanks to local heroes like Françoise, they are slowly rising above the rubble.